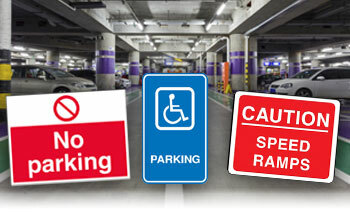 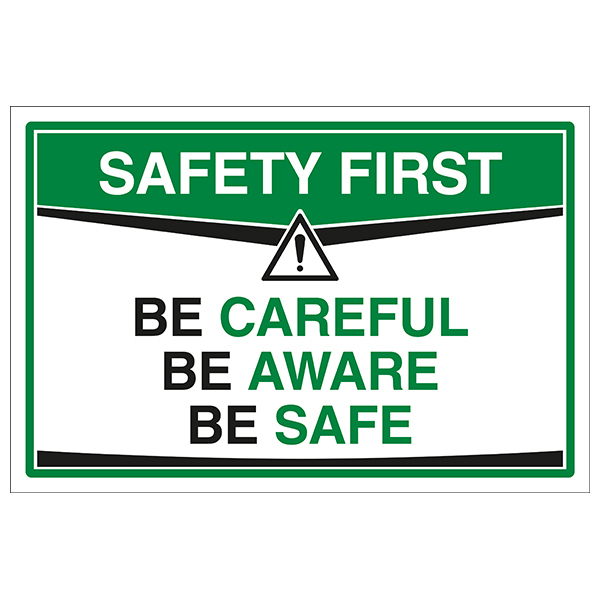 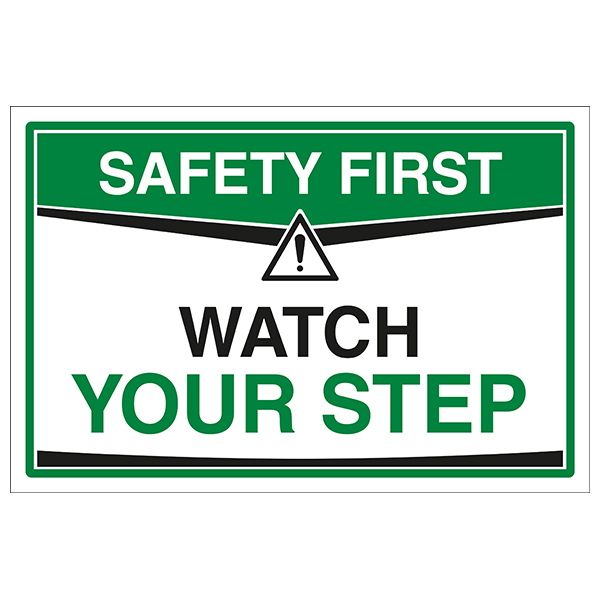 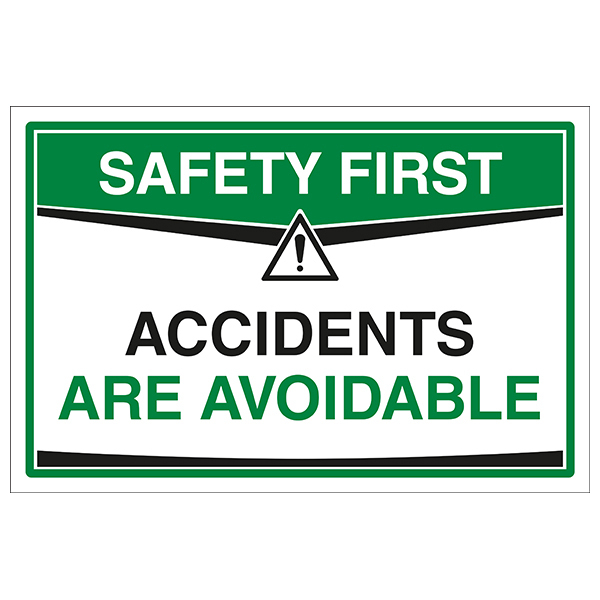 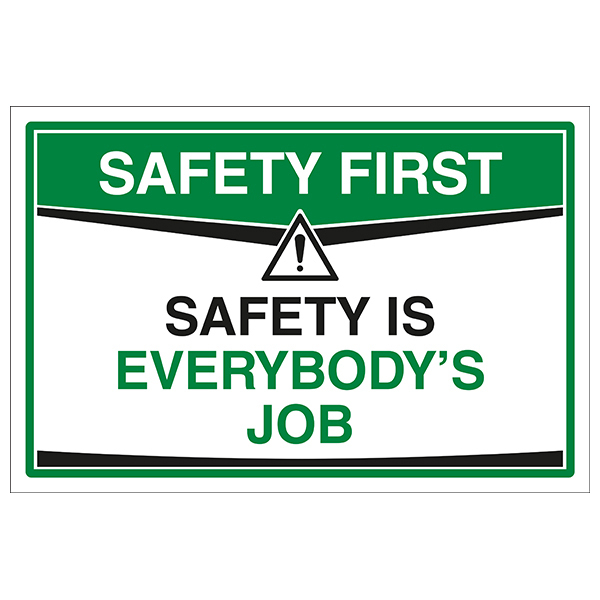 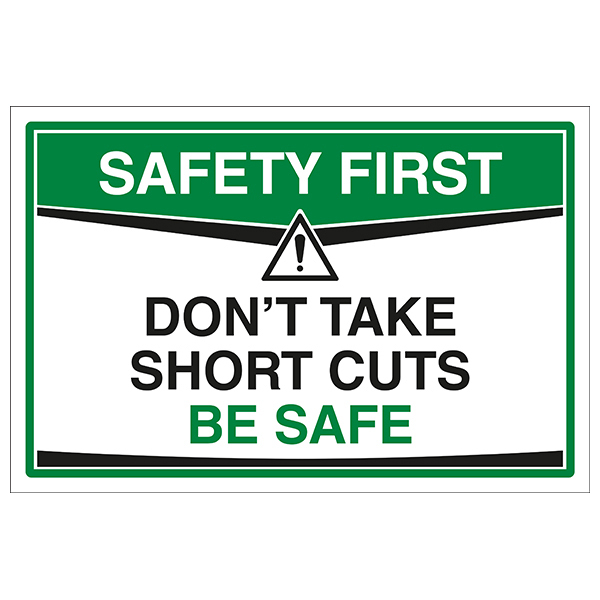 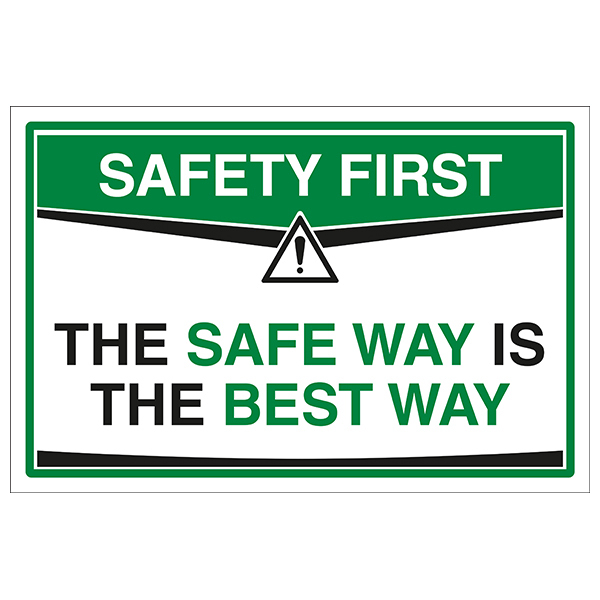 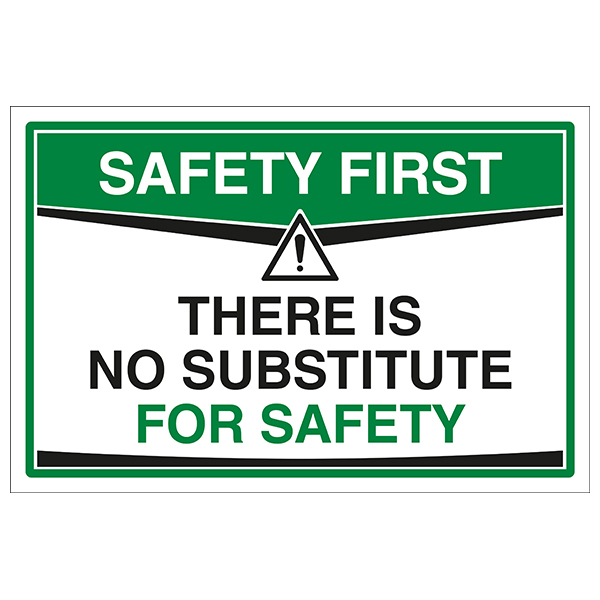 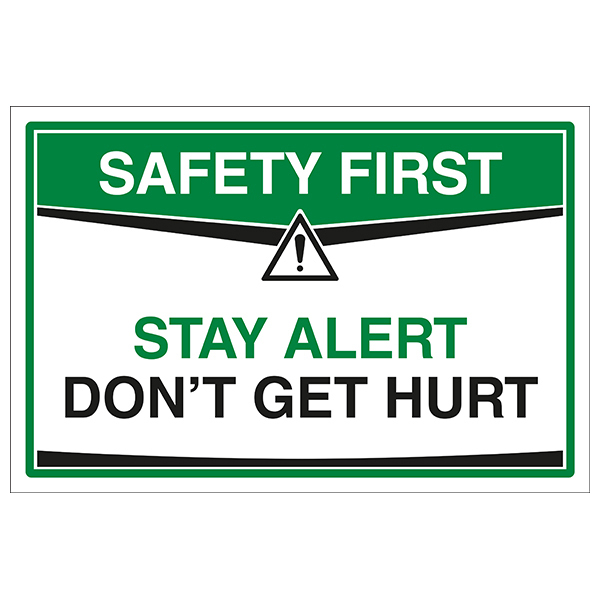 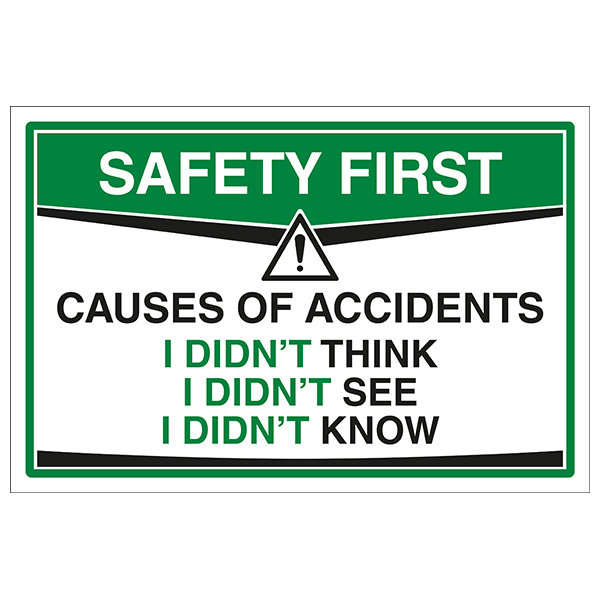 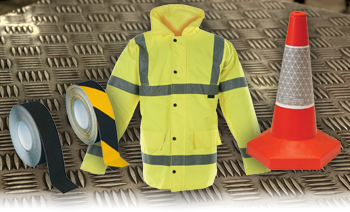 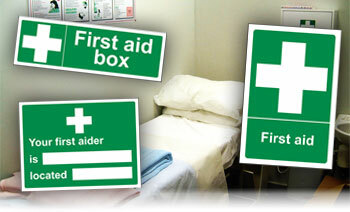 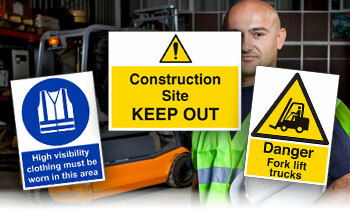 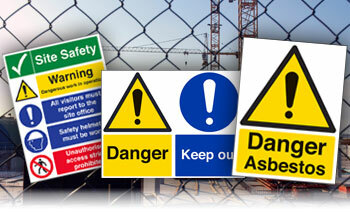 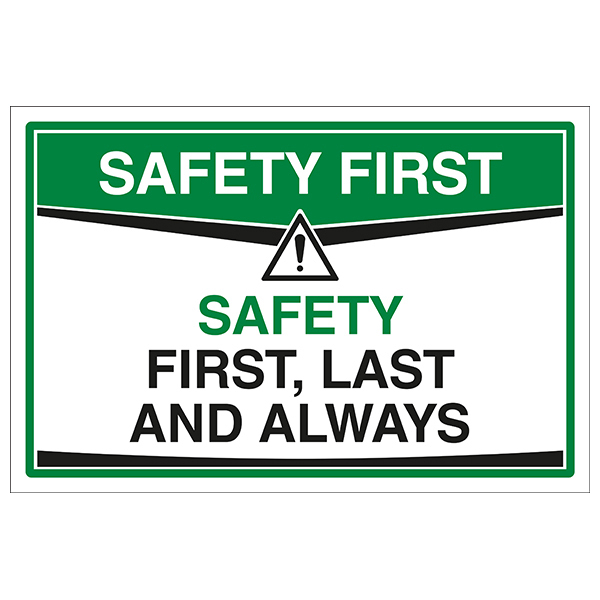 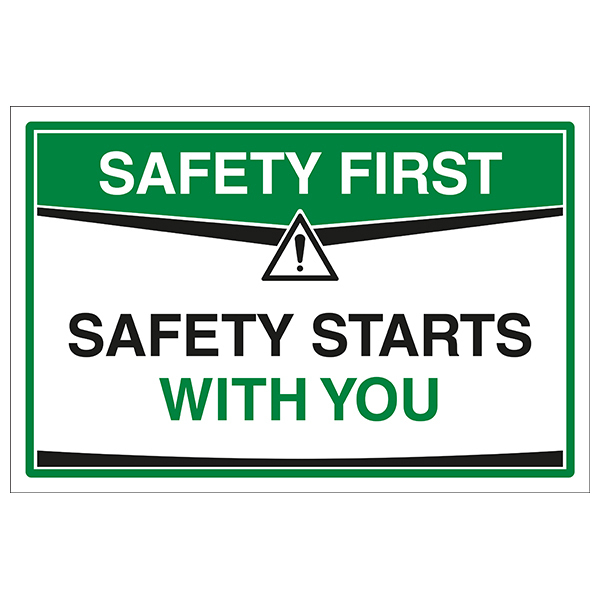 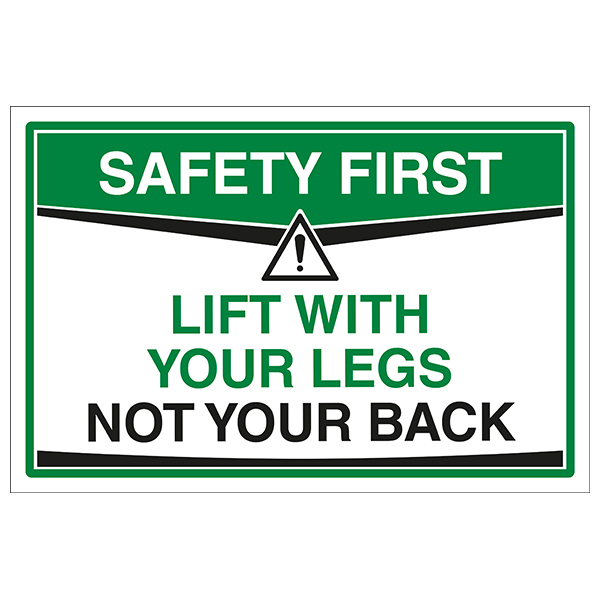 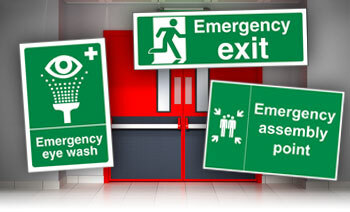 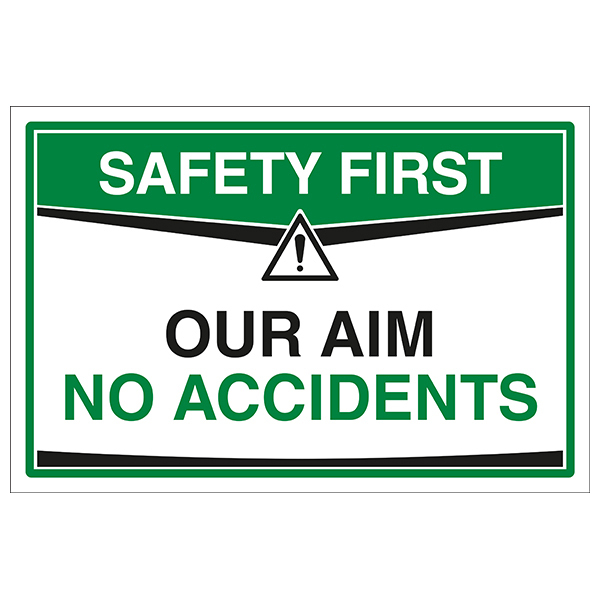 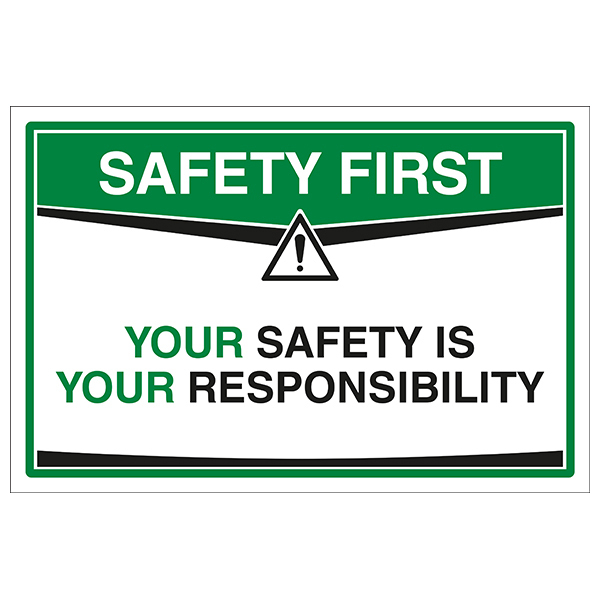 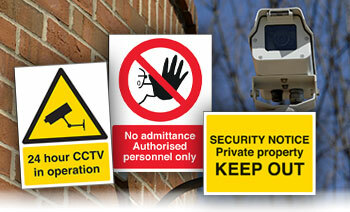 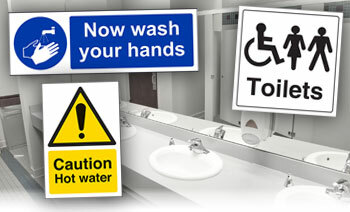 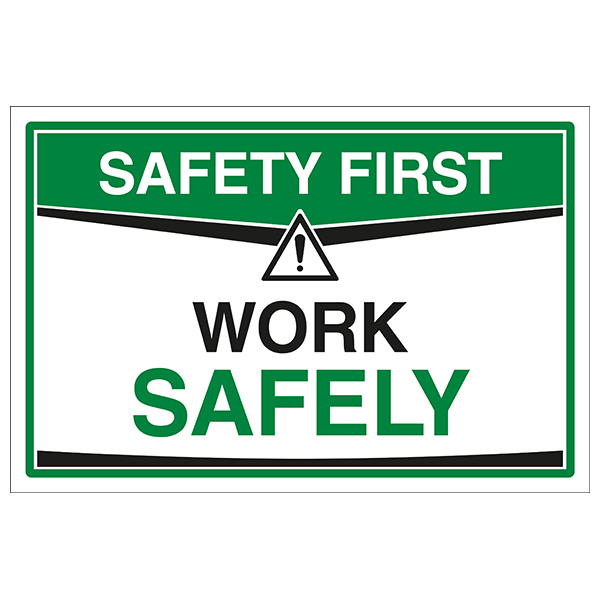 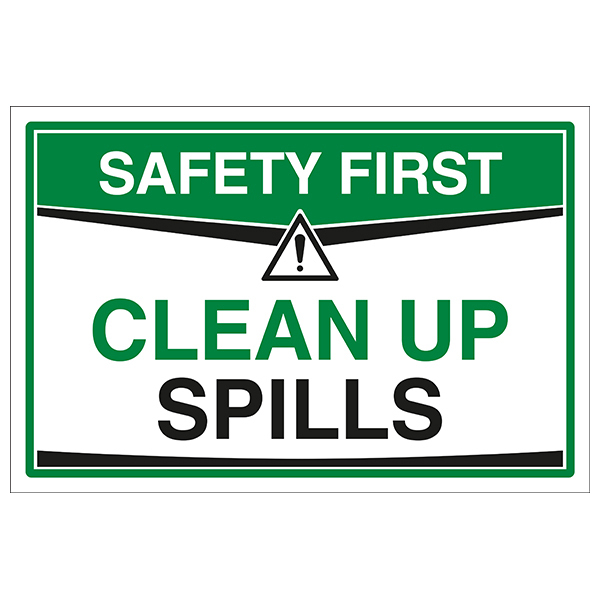 Safety First Signs are a simple and cost-effective way of improving safety and reducing the likelihood of accidents. 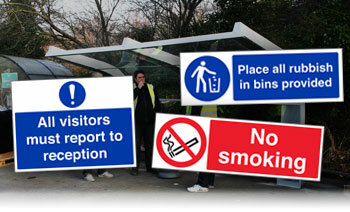 They share a professional, eye catching design to deliver a simple message that helps to prevent accidents. 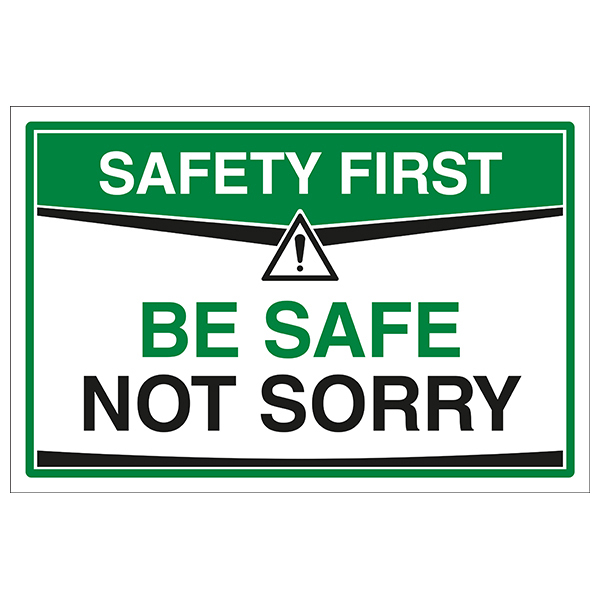 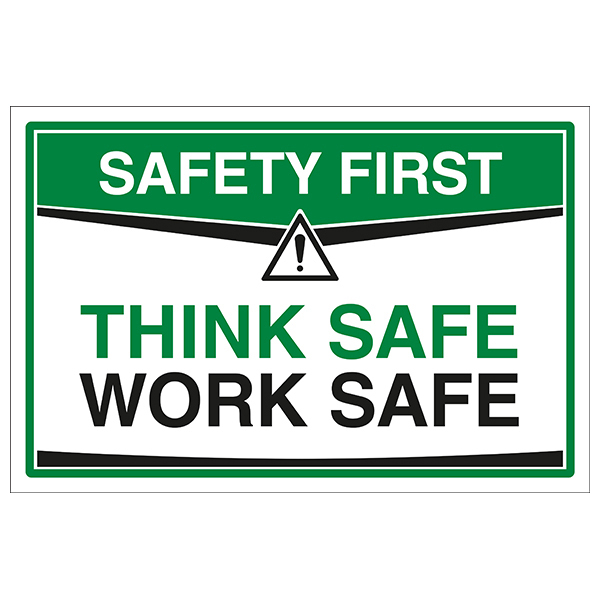 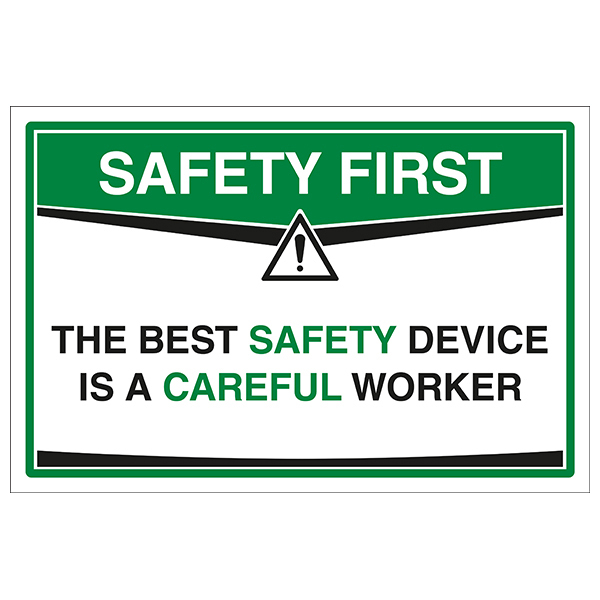 By displaying these signs in your workplace, you demonstrate your company’s commitment to the safety and wellbeing of your employees. 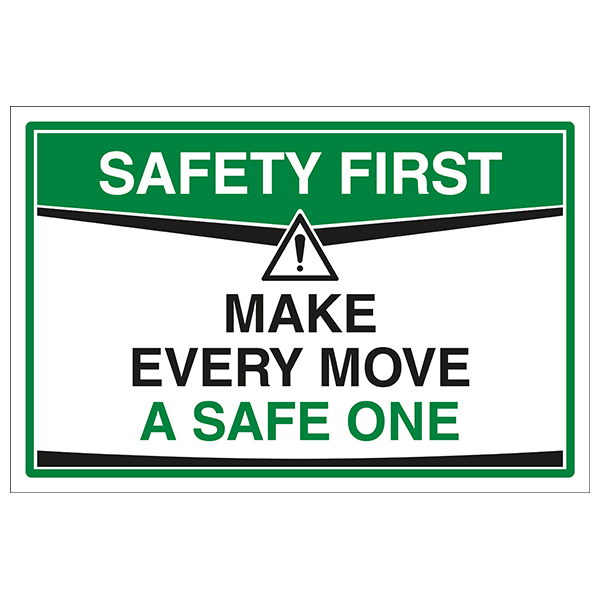 Our brand-new range of Safety First Signs are designed to create a positive behaviour and motivate employees to work safely. 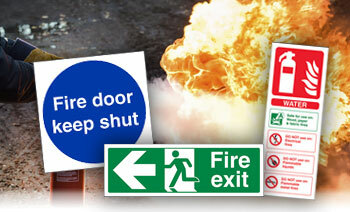 Choose from high quality self-adhesive vinyl or 1mm rigid plastic materials.